Despite a 5a.m. wake-up, we pulled out of our host Yun's place a little bit later than we'd hoped. 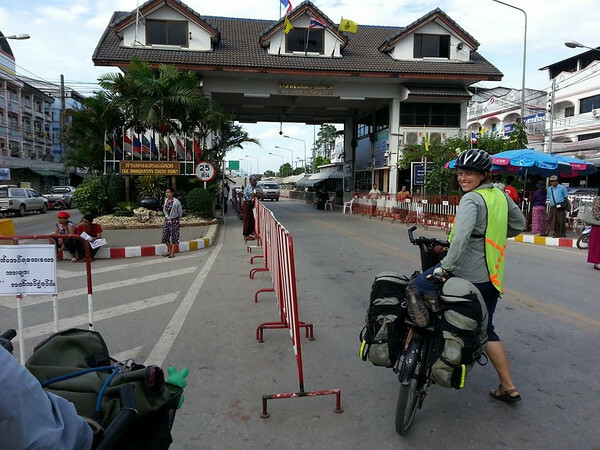 He kindly accompanied us to the border to send us off and watched our bikes and bags as we attempted in vain to figure out how to secure a re-entry permit on our single-entry Thai visa. As Canadians entering Thailand via a land border we would only be granted a 14-day visa on arrival, definitely not enough time for us to cycle to Malaysia. We were trying to avoid having to apply for a new visa and it seemed like it was a pretty straightforward procedure for us to get a permit that would allow us to re-enter the country on our current 60-day visa. We showed up at the Thai Immigration at Mae Sot with our duly completed forms (downloaded from the Immigration Bureau of Thailand website). It became clear pretty quickly that nobody knew what to do with our forms. Despite what we thought was a pretty obvious heading, written in both Thai and English, “Application permit for re-entry into the Kingdom”. After being shuffled from window to the next, someone grudgingly filled out forms for us (20 baht/each). They turned out to be vehicle permits, which we're pretty sure we didn't need. Our completely ignored re-entry application forms were shoved back through the window at us, along with the vehicle permits. The confused immigration officers responded to our enquiries by repeating that we would get 14-day visas upon returning to Thailand, so we didn't have to worry. So we exited Thailand without the re-entry permit that we needed and concluded that we'd have to make our way to the Thai consulate in Yangon and apply for a new visa. 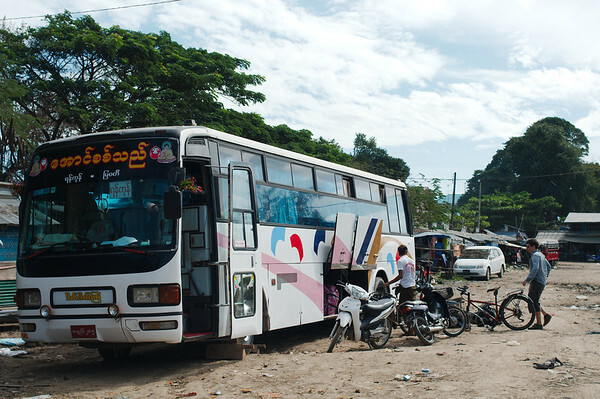 We hadn't been told that our bus wasn't actually Hpa-an bound. We were dropped off at an intersection about 10km out of the city. 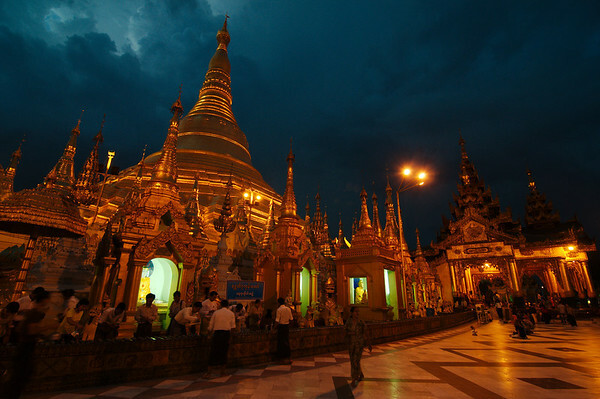 It was nearing dark and as we disembarked we realised that the bus was probably headed to Yangon. Rather than attempting to load our bicycles onto a new bus the next day we decided to continue on. 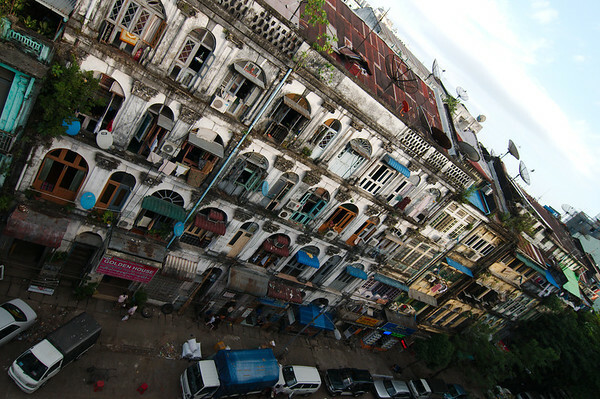 It would be another seven hours before we arrived in Yangon, at 1a.m., at the bus terminal 30km out of the city. We had called a few hotels from a pay phone at our dinner stop but hadn't found any with vacancies. We found a taxi driver willing to drive us around until we found a cheap hotel. It was almost 3 a.m. by the time we found a room. It was a windowless mildew-box on the fifth floor of a downtown hotel, the last one in the entire place. The last one in Yangon as far as we could tell (although we did reject our taxi driver's first pick that appeared to have several prostitutes waiting in the lobby). After two days in the city we secured onward bus tickets to Mandalay. It was a pain finding a company that would agree to transport our bicycles for a not outrageous fee. While the seat prices were all in the same standard range, there was some serious price-gouging on the excess baggage fees. We eventually had our hotel staff reserve tickets for us (at the price that we had balked at before trying to negotiate the fees ourselves). 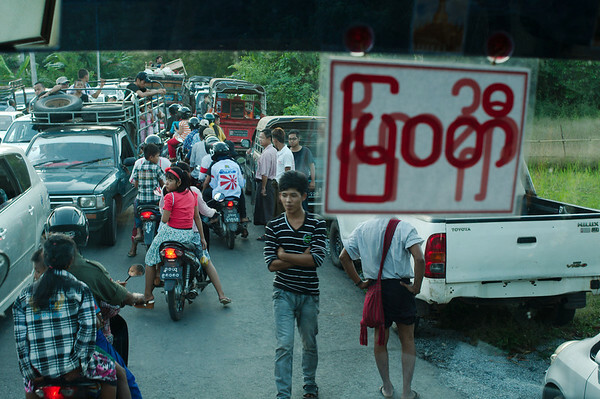 We cycled out to the bus station, even though we had read that bicycles and motorcycles were banned from Yangon streets. The downtown riding was perfectly fine, but as we exited the city it became an increasingly hair-raising ride. We ended up on a busy, undivided, highway jockeying for space on the narrow shoulder with hundreds of pedestrians, rickshaws and bicycles in complete darkness. At the bus station, our "friend" was waiting for us. When we had told him that we were going to Mandalay, he announced that he would be coming with us. The three of us arrived in Mandalay before sunrise after an 8 hour, largely sleepless bus ride. We weren't exactly in cycling condition, but we had already resigned ourselves to the fact that the only way to free ourselves would be to start riding, which is what we did. Wow, I'm stressed just reading about your third wheel! So annoying! 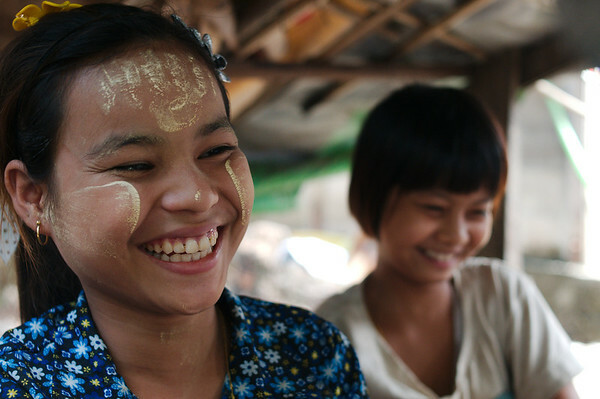 So, do people there call it Burma or Myanmar?